Natural Health News — Keeping your bones strong could be as simple as drinking a glass of orange juice a day, according to new data. A new analysis looked at studies into the bone-protective effect of vitamin C in nearly 10,000 people. Specifically the Scientists at Zhengzhou University in China were looking at high quality data on the risk of hip fractures in relation to daily vitamin C intake. 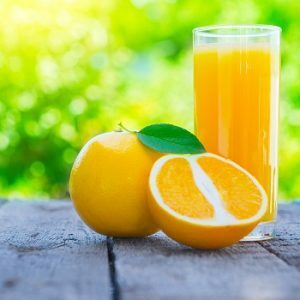 Pooling the results of six previous studies on vitamin C and fracture risk, they found that every 50 mg vitamin C intake daily – the equivalent of a small orange, or 60mls (a quarter of a glass) of freshly-squeezed orange juice – lowered the risk of fracture by 5%. This means a 240ml (8oz) glass of orange juice daily could cut the risk by 20%. The researchers note that previous studies show that those with high fruit and vegetable intake are less prone to hip fractures. 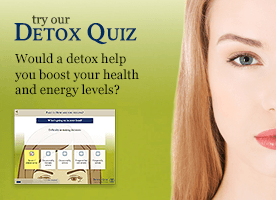 This they say this likely because of the higher vitamin C content in fruits and vegetables. » A new meta-analysis has shown that those who consume the highest amounts of vitamin C Daily, from food or supplements, have a lowered risk of hip fracture. » Chinese scientist looked at data from studies involving nearly 10,000 people around the world. » Results showed that for every 50 mg vitamin C intake daily – the equivalent of a small orange, the risk of fracture was lowered by 5%. In those with adequate daily intake, Vitamin C exerts a protective effect by stimulating cells called osteoblasts to become mature bone cells. There is some previous research to support this view. The Framingham Study, a well-known, long-term American medical study which began in 1948, also looked into the link between vitamin C intake and hip fractures over a 17 year period. The findings, reported in 2009, showed that those with the highest total vitamin C intakes (averaging 313 mg per day) had a significantly lower (44%) rate of hip fracture risk when compared to those with the lowest total intakes (94 mg per day). Similarly, those in the groups with higher vitamin C supplement intakes had fewer hip fractures compared to those who took no vitamin C supplements. A cup of chopped red peppers contains around 190mg. A cup of green peppers has 120mg. Vitamin C supplements are also a good way to ensure you are getting enough. Look for those with added bioflavonoids. As our population ages, health officials worry about the increased incidence of hip fractures. In the UK, for example, around 65,000 people a year suffer a hip fracture. Most are older people who have some degree of osteoporosis. The UK’s National Health Service spends over £1bn a year treating hip fractures, so dietary prevention could benefit both people and an overburdened health service.